Brazil has announced today the selection of Bingo: The King Of The Mornings / Bingo: O Rei Das Manhãs as the country's candidate for the 2018 edition of the Academy Awards. The film, inspired on the true story of Arlindo Barreto—the man behind the mask of the Brazilian Bozo—marks the debut as a director of the established editor Daniel Rezende, who is a BAFTA winner and Oscar nominee for his editing of Fernando Meirelles and Katia Lund’s City of God. Rezende’s other credits include Meirelles’ The Motorcycle Diaries, the Oscar nominee for Best film The Three of Life by Terrence Malick, and Cao Hamburger’s The Year My Parents Went on Vacation, which was the last Brazilian film short-listed for the Foreign-Language category in 2007. Bingo: The King Of The Mornings tells the story of Augusto Mendes, a young rising actor, seeking his place in the spotlight. 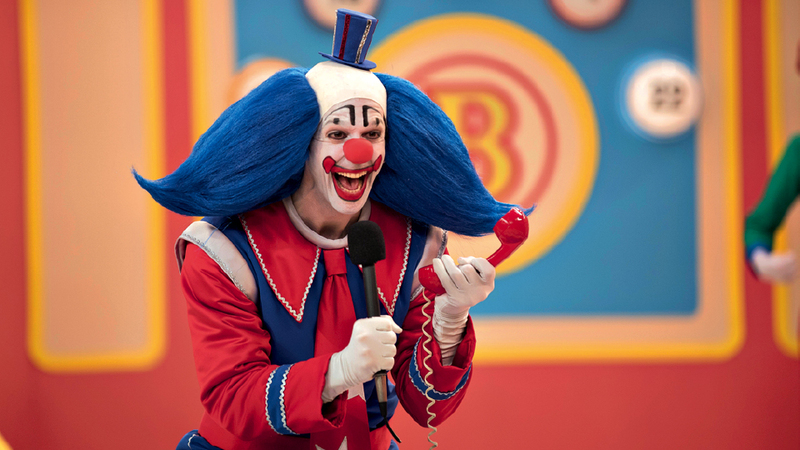 He finally finds success and fame when he becomes “Bingo”, a TV host clown from one of the audience leader’s TV shows for children, a clause on his contract forbids him to reveal his identity. According to the official announcement, Rezende’s drama, which was also the Brazilian pick for the Goya Awards, was chosen among the 22 submissions which included the Berlin Panorama selection Just Like Our Parents / Como Nossos Pais by Lais Bodanzky, and Eliane Caffé’s San Sebastian winner The Cambridge Hotel / Era O Hotel Cambridge. Brazil has earned four Oscar nominations in the foreign-language category, but never has won the statuette. The most recent Oscar nomination for the South American country was Walter Salles' Central Station in 1998.